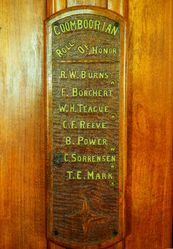 The doors in the memorial hall contain an honour roll which commemorates those who served in World War One. 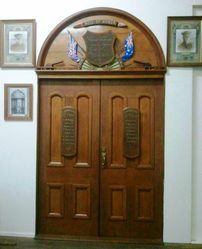 The memorial rooms and doors of the Goomboorian Hall erected in memory of the fallen soldiers-Sergeant P.J.Kitchen and Private T.E. 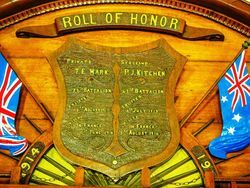 Mark and other soldiers who had enlisted from the locality were opened on Sunday. 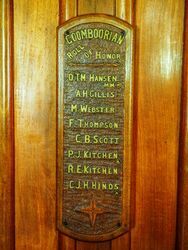 The memorial rooms-one for ladies and the other for gentlemen-are attached to the side of the hall, and are divided by a hallway which leads to the memorial folding doors, which open on the main hall. 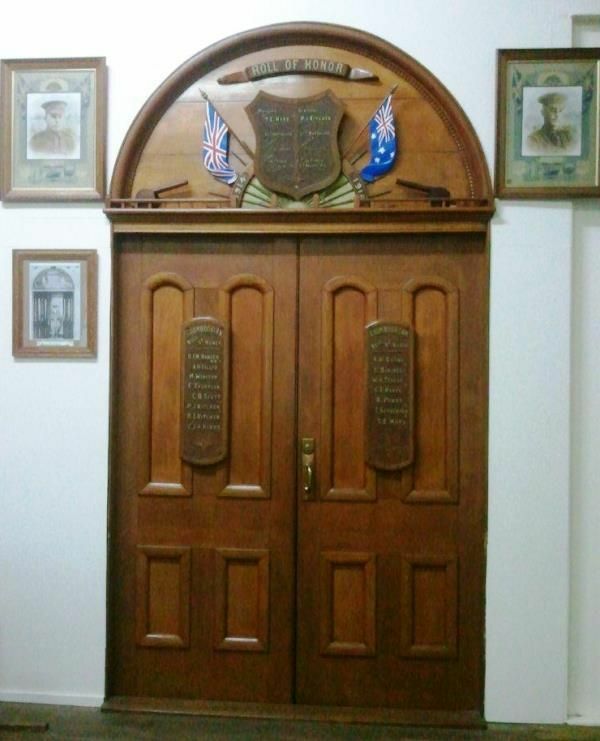 The doors are constructed of polished silky oak, and bear carved and raised panels, as honour boards, on which the names of the soldiers appear. The Brisbane Courier (Qld. ), 28 March 1922.